Do you like networking? If you are like most people, you probably dread it. 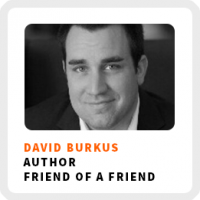 David Burkus is going to help you reimagine networking by sharing how social networks work to work yours more effectively. He’s the author of the new book, Friend of a Friend. It’s a compilation of the science about how social networks really work by understanding how to better leverage the connections you already have to expand your network. Why weak or dormant ties in your network are so powerful. Making a habit of reaching out to your network rather than waiting until you need something. 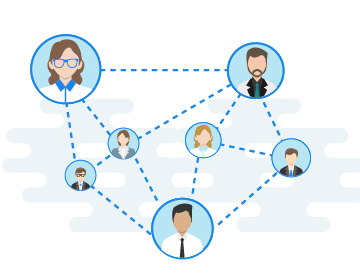 How shared activities can create higher stakes for building deeper connections than networking events. Why you move up faster when you are moving around more by jumping from company to company. Ideal work environment: For writing, it’s between 8:30 and 10:00 am when the house is quiet. For other things, it’s usually on stage or in a group of people. 90-day goal: Sell as many copies of the book as possible and hit the Wall Street Journal best-seller list. 1) Focus on getting people to notice your writing even more than you focus on your writing. 2) As Ryan Holiday says, “be marketing all of the time” and occasionally release that big piece of writing.